On their way to visit an old college professor, two clean cut kids, Brad Majors and his fiancée Janet Weiss, run into car trouble and seek help at the site of a light down the road. It’s coming from the Frankenstein place, where Dr Frank 'N' Furter is in the midst of one of his maniacal experiments…. Sharpen your stilettos, freshen up your fishnets and get ready to ROCK! ROCKY HORROR ETIQUETTE: 3 easy steps to your one wild night! STEP 1: In another dimension, with voyeuristic intention… Big wigs, fishnets, leather pants, garters, killer heels and your favorite color lipsticks are all fair game as you prepare yourself for your night out! Dressing up isn’t required, but it sure makes the evening more exciting! 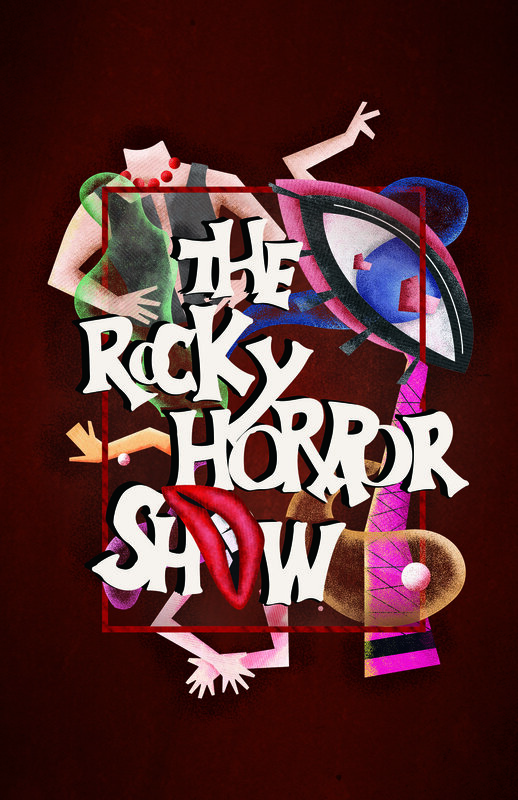 Feel free to come as you are or come gussied up to the gills as your favorite Rocky character, space alien or sweet transvestite! STEP 2: I would like, if I may, to take you on a strange journey… (“How strange was it?”) Rocky Horror has a long legacy of audience partici…(“Say it!”)…pation! There are an endless amount of callbacks that exist that the audience can shout out all day (“Not the night, but the day!”) long. If you feel inspired or you know the drill, feel free to play along - just remember, it’s all in the timing! STEP 3: Madness takes control, but listen closely… Please, no throwing of anything - this includes rice, toilet paper, confetti, playing cards, toast, anything! The same goes for water guns - please no squirting! The one thing to remember is that these are live actors and the space needs to be kept clean and safe for the performances. Patrons will be checked at the door and if anyone is caught throwing anything the performance will be halted and the miscreant will be apprehended, dismembered and stored for the voyage home to the moon drenched shores of Sweet Transsexual. *Please note earlier start time.